Uploading of avatars is supported, and enabled by default. 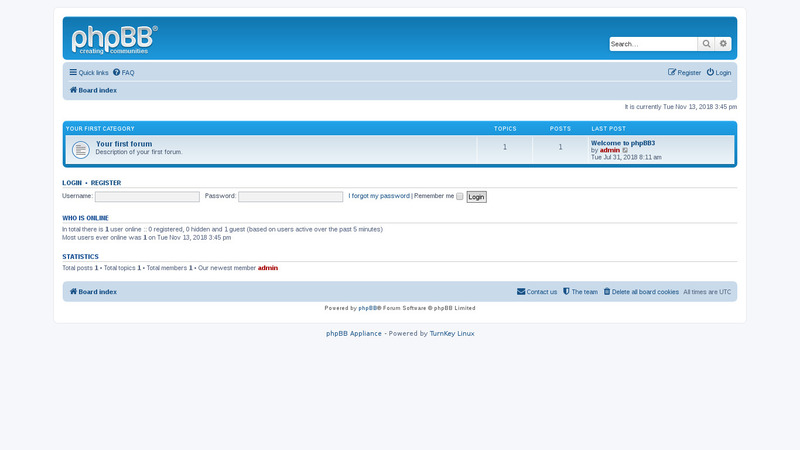 Setup an example forum, including welcome post displaying default login credentials. Postfix MTA (bound to localhost) to allow sending of email (e.g., password recovery, notifications). 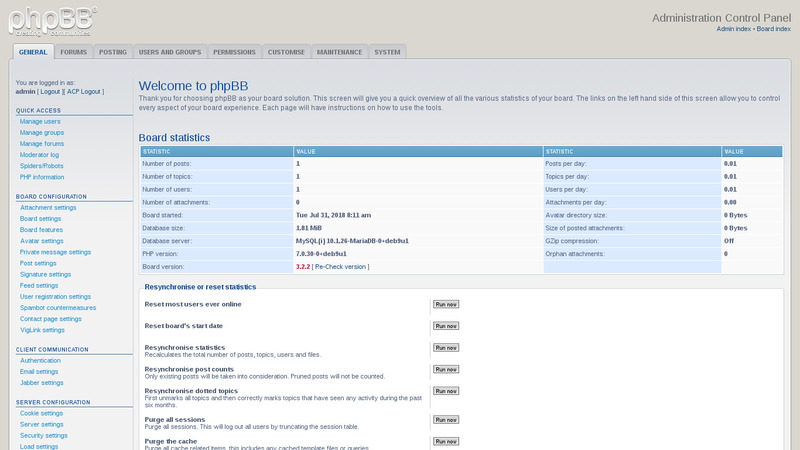 Note, you may not be able to access the moderator control panel if you delete all forums (e.g., the example forum). See this thread for details.